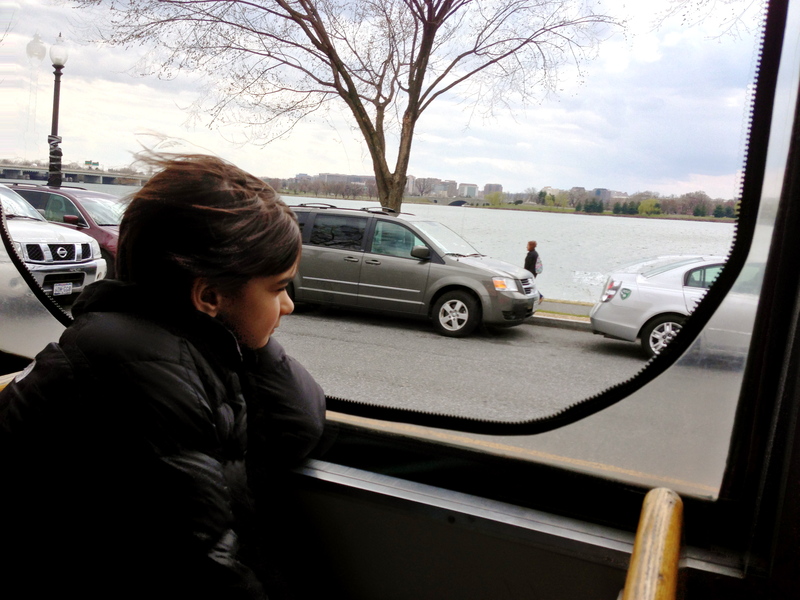 We took a quick trip to DC after Easter – literally. As in we cleaned up, packed leftovers, said goodbye to our family and hit the road. 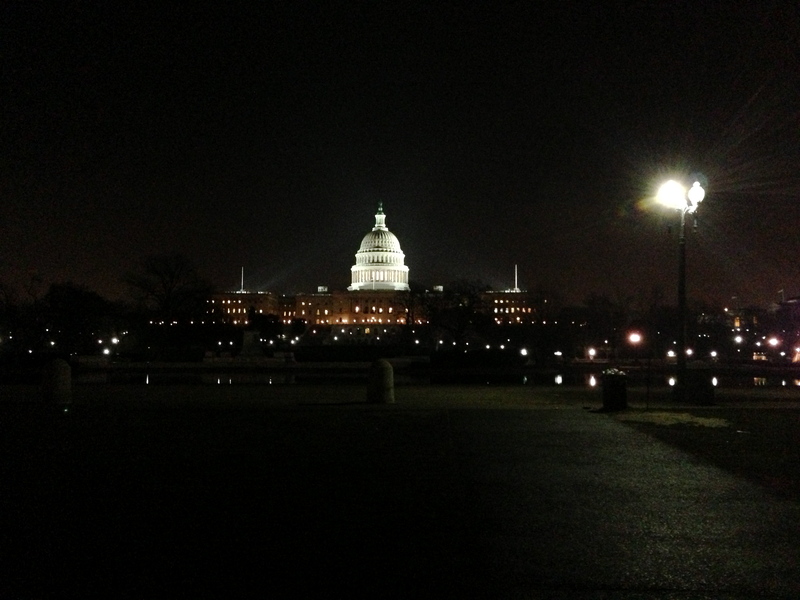 My husband and I have both been to DC often, but just for work. From train to conference room to train. This was an all out tourist trip. We landed in the capital at the stroke of 11pm. After miles and miles and miles of traffic, here’s what we saw heading into our hotel. Pretty friggin cool. For the next two days we traveled by trolley, monument to monument, museum to museum. It was cherry blossom festival time but a late snow meant no blooming trees (actually there were a couple but we couldn’t see them with all the Japanese tourists surrounding them. True story). 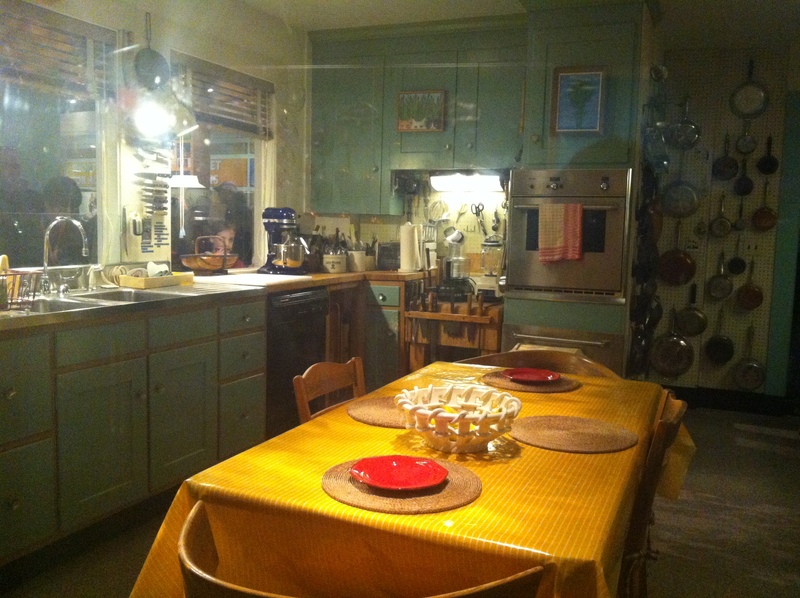 This is Julia Child’s kitchen. Recreated spoon by spoon at the Smithsonian. 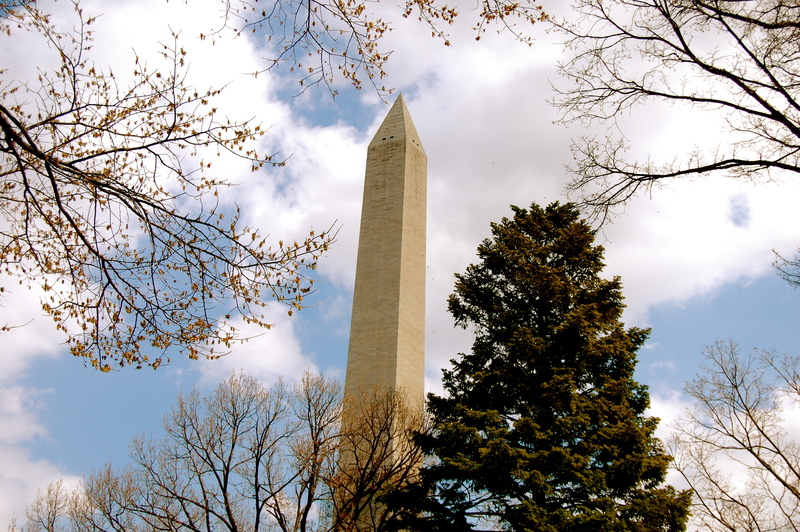 This was my favorite monument in all of DC. Cluttered. Utilitarian. Completely unMartha. It was awesome.